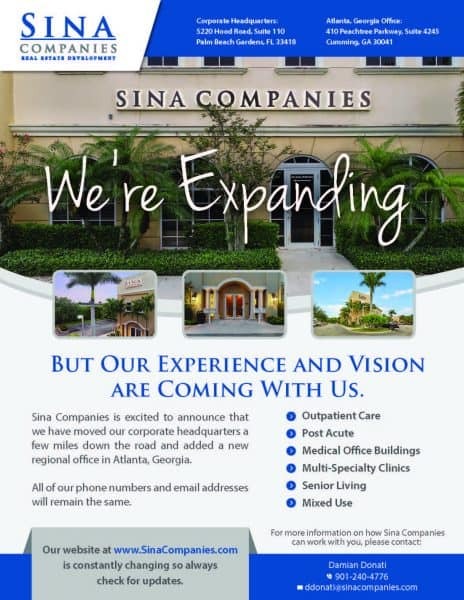 Sina Companies is excited to announce that we have moved our corporate headquarters a few miles down the road and added a new regional office in Atlanta, Georgia. All of our phone numbers and email addresses will remain the same. Our website at www.SinaCompanies.com is constantly changing so always check for updates.